PTX Presents: Top Pop Vol. 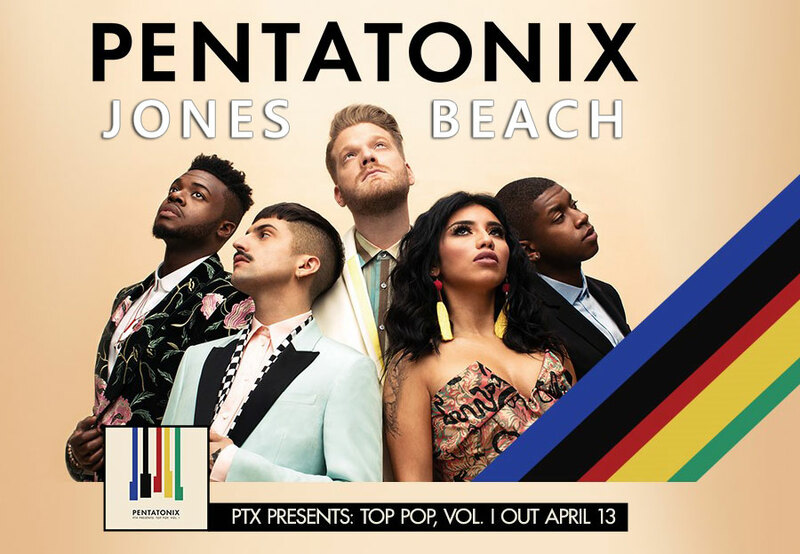 1, due out April 13th, will feature a set of new covers from the group, in the first of their PTX Presents series. The album will feature the quintet's newly released cover of Camila Cabello’s “Havana," the video for which has already racked up over five million views on YouTube. Following the album, the five-piece group will embark on a 39-city North American tour this summer, hitting major cities like Charlotte, Dallas, Phoenix and the Jones Beach Amphitheatre in Long Island, New York... In 2015, Pentatonix's self-titled debut album debuted at No. 1 on the Billboard 200 albums chart, and their original song, "Can't Sleep Love," was eventually certified gold. Last year, the group released their third annual holiday album, A Pentatonix Christmas Deluxe, accompanied by a sold-out Christmas tour for the holiday season. A cappella [a kapˈpɛlla] (Italian for "in the manner of the chapel") music is specifically group or solo singing without instrumental accompaniment, or a piece intended to be performed in this way. It contrasts with cantata, which is usually accompanied singing. The term "a cappella" was originally intended to differentiate between Renaissance polyphony and Baroque concertato style. In the 19th century a renewed interest in Renaissance polyphony coupled with an ignorance of the fact that vocal parts were often doubled by instrumentalists led to the term coming to mean unaccompanied vocal music. The term is also used, albeit rarely, as a synonym for alla breve.